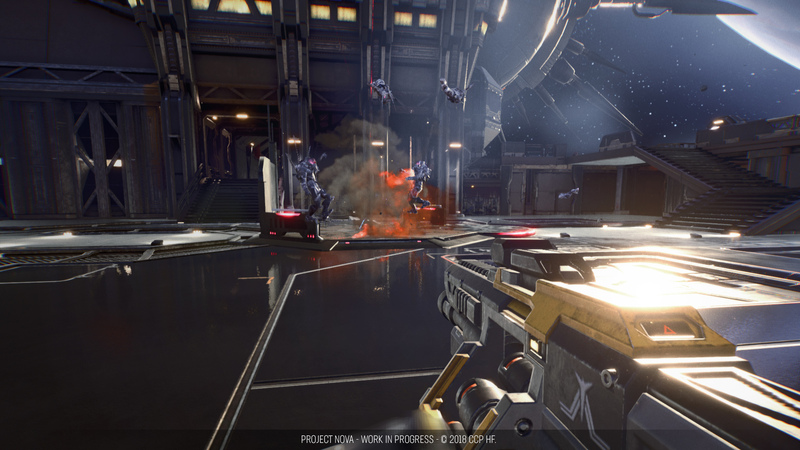 During EVE Vegas, CCP Games has made some big announcements for its upcoming FPS multiplayer shooter, Project Nova (working title). EVE Vegas attendees and those who register and qualify will get the chance to play the closed Alpha version of the game starting in November. 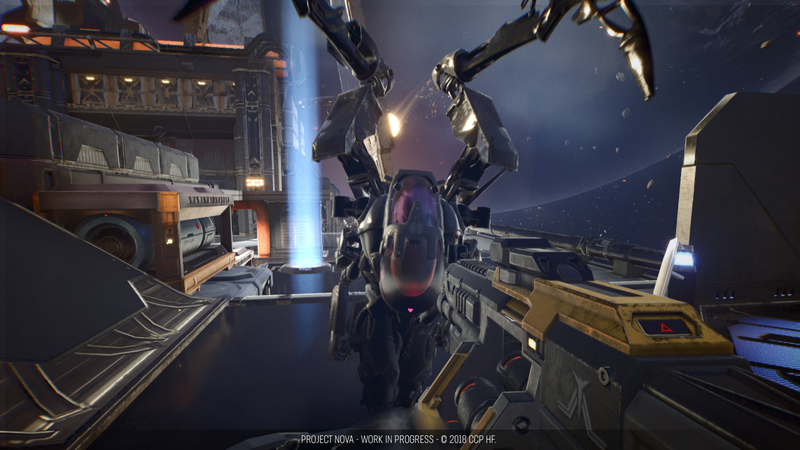 Players will get to play different PvE and PvP modes including its own take on payload missions. Nerd Reactor was invited to check out Project Nova at EVE Vegas, and it’s shaping up to be a solid and intense shooter. 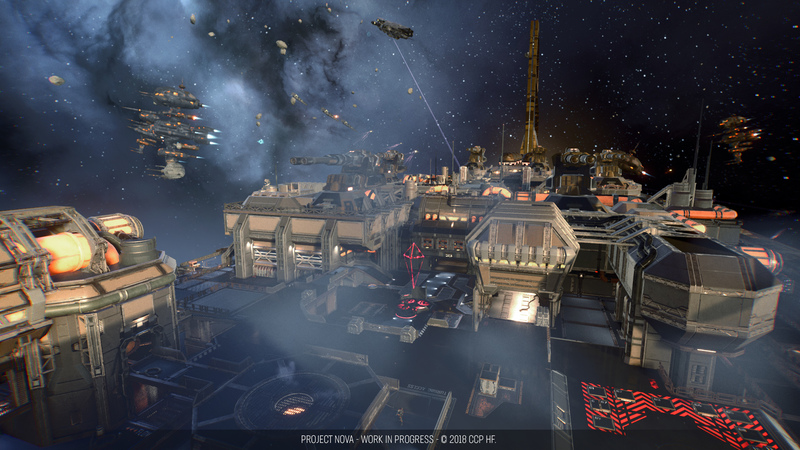 The PvP mode wasn’t available to play during EVE Vegas, but CCP Games did reveal what players can expect. Overwatch has made payload missions very popular, and with its mode having one team pushing the payload to its destination while the opposing team has to stop them. Project Nova’s payload mission is similar, but with a twist. Instead of one payload, there will be two, and each team has to push its own to the finish line while simultaneously stopping the enemy payload. Each team will consist of 16 players, and they can split up in squads to perform different tasks. There will be installations that players can build on the map to help put pressure on the opposing team. With a lot happening on the map, teamwork is essential, and each player will feel like they have something to do. In EVE Online, Capsuleers have a lot of customizable options, and the same goes for Project Nova with its weapons and gear via the progression system. To get the most out of the game, players are encouraged to play both PvP and PvE modes, but it’s not mandatory. Although there isn’t a single-player campaign, CCP Games will still sprinkle some story here and there. CCP Games has brought in Sumo Digital (Crackdown 3, Team Sonic Racing) to help with developing Project Nova. The easiest class to use is Assault, and you’ll be able to mow down enemies with the assault rifle. This class also has a special move that makes you zip across the map fast by running and sliding. Just imagine the Call of Duty sliding except on steroids. The sniper can hover in the air for a limited time and pick off targets from afar, but be careful since the health isn’t that great. The grenadier is effective with enemies standing close to each other, but the drawback is that the grenade launcher has a very slow fire rate and reloading. Once a player captures a point, they can build an installation in pre-selected areas that will help them defend the area. This will help slow the tide when you’re dealing with enemies elsewhere or need a helping hand. Once you have successfully defended the three points, you’ll have a limited amount of time to escape via pods. Teamwork is key, and sticking together will be beneficial as you can revive a player when they’re down. If your health and ammo are low, you can set an ammo and health pool down, and other players can stand inside them to refill their ammo and health. Use them wisely, since there is a short cooldown. There is still a lot of questions revolving around how EVE Online and Project Nova will connect. 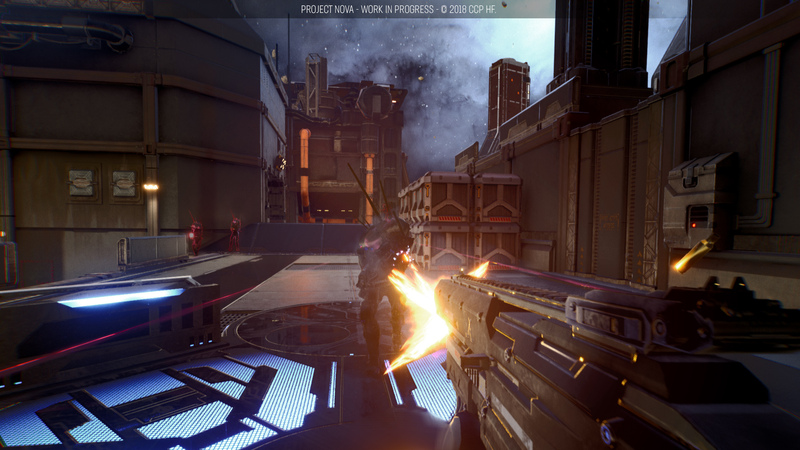 For now, CCP Games and Sumo Digital are focusing on delivering a solid multiplayer FPS including features like “procedurally generated content” for added replayability. Project Nova will be available as an invite-only Alpha starting in November, and CCP Games will be taking player feedback very seriously to help evolve the game.